Never takes itself seriously and features some great special effects. Made for : we know who we are. Rated PG-13 for action/peril, bloody images and some language. In the annals of shark films, no one will ever dethrone Jaws. And director Jon Turteltaub knows it. Based on the Steve Alten novel Meg: A Novel of Deep Terror (yes, there are books — six in fact), The Meg film has been through development hell since Disney purchased the rights clear back in 1997. At one point even Eli Roth was attached to direct. Finally reverting back to Alten himself, Warner Bros. delivers! Turteltaub may be more serviceable than a perfect match for the material, but The Meg finds itself a swimmingly fun crowd-pleaser just in time to clear out the summer waters. It’s been five years since an executive decision left two of Jonas Taylor’s (Jason Statham) crew dead at the bottom of the ocean. Convinced they were attacked by a prehistoric Megalodon, he’s living in Thailand in seclusion. Fate comes knocking when his ex-wife Lori (Jessica McNamee) is attacked by what could be another meg. But an even bigger threat is faced when the meg makes it way back to the surface. With the lives of the Mana One at stake — including father/daughter/granddaughter Zhang, Suyin (Bingbing Li), and Meiying (Shuya Sophia Cai), Taylor’s ol’ chum Mac (Cliff Curtis), DJ (Page Kennedy), Dr. Heller (Robert Taylor), Jaxx (Ruby Rose), and Morris (Rainn Wilson) — Jonas must face his past and save everyone from a threat no one believed was real. With a film such as The Meg, you can count on plenty of Jaws references. I ticked off at least seven, with asides also made to The Shallows and Finding Nemo/Dory. While most have come to see the latest big summer shark film, others of us are longtime fans of Alten’s Meg novels. I remember when the Disney announcement was made and the film would have been a perfect addition to the Disney ’90s action films made under their Touchstone/Hollywood Pictures logos. But at least WB backed Turteltaub with plenty of money to make as good of film as he could. Turteltaub may not be known for groundbreaking action films — 3 Ninjas, Cool Runnings, While You Were Sleeping, Phenomenon, both National Treasures, and the underrated Sorcerer’s Apprentice — but he does know how to make crowd pleasers. Turteltaub has mentioned the film was originally going to be very gory — and Statham has gone on record that this is not the film he signed on to make — at least writers Dean Georgaris and Jon & Eric Hoeber didn’t try to Dark Tower the film. The spirit and essence and basic layout of Alten’s original novel remains intact and they may or may not have set up the film for a sequel. The final gets a little confusing and I’m still not sure exactly what I saw. Alten couldn’t (or can’t) confirm what I think happened. Those who have read the book will feel the same way. It’s a vague case of did-they-or-didn’t-they and unless the box office receipts pile up for a sequel we may never know. There’s definitely room to play and maybe we fellow Megheads can rally the troops Pacific Rim style to keep a franchise afloat. But if they’re going to, they need to go even bigger. 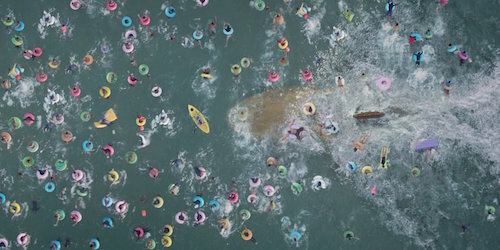 The Meg throws its budget up on the screen to make the shark as realistic as possible — ditching the book’s white glow is forgiven, it would have looked hilarious on-screen — even if there’s not as much carnage candy as you’d hope. This is a fun ride from beginning to end, and being a fan of all things shark — and particularly Meg — I can only hope there’s further adventures with Statham on board because he’s a perfect version of Jonas. The Meg may not try to be the best shark film ever made, but at least it set out to be the best Meg film it could under the circumstances.